A Temecula boy who suffered an electric shock at his birthday party is home. 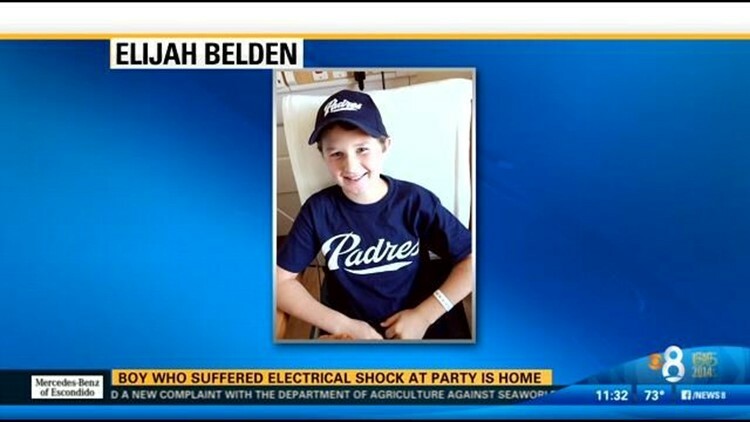 SAN DIEGO (CBS 8) - A Temecula boy who suffered an electric shock at his birthday party is home. Elijah Beldin was put into a medically-induced coma October 4 after he touched a metal pole that had somehow become electrified. He woke up from his coma last weekend. His family says he'll continue his recovery at home.